Actor-anchor Maniesh Paul, who is known for his comic timing, is currently busy hosting Indian Idol which is in its 10th season. 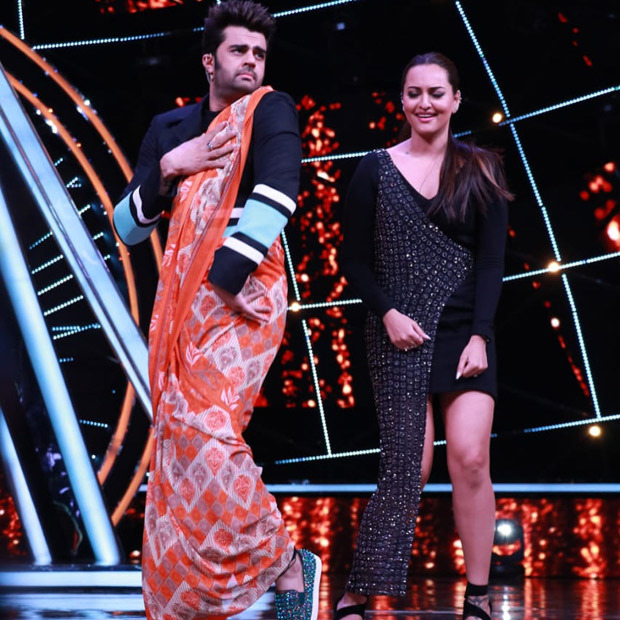 On the other hand, the former judge of Indian Idol, Sonakshi Sinha, who is currently busy promoting her film Happy Phirr Bhag Jayegi, visited the sets of the ongoing music reality show. Considering the bond that they share, it was definitely a laughter riot on stage with Maniesh and Sona in their elements. 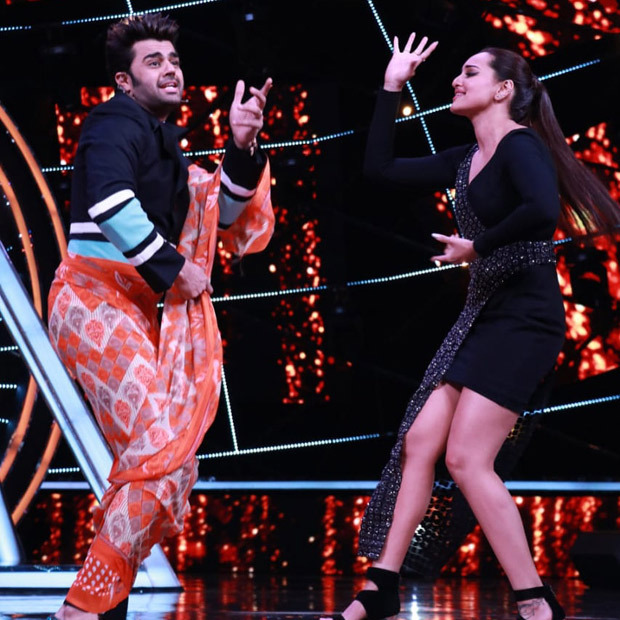 Well, let us remind you that Maniesh Paul and Sonakshi Sinha were recently together in the Da-Bangg Tour which also featured Salman Khan, Katrina Kaif, and Jacqueline Fernandez amongst others. 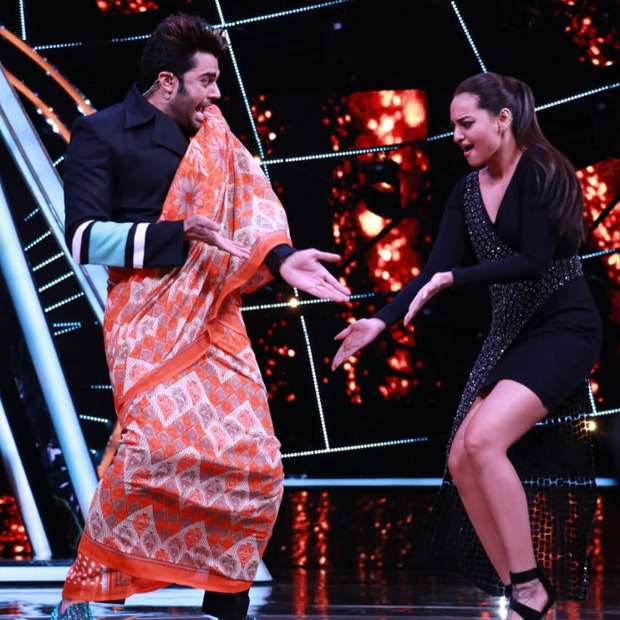 So when the actress appeared on the Indian Idol 10 to promote her film Happy Phirr Bhag Jayegi, the camaraderie between her and Maniesh was not only fun but also left the audience entertained. Especially the portion where Paul decided to don a saree! Coming to Happy Phirr Bhag Jayegi, the film is a sequel to the 2016 run-com Happy Bhag Jayegi. It will feature Sonakshi Sinha alongside Punjabi star Jassie Gill. Besides this, the film also retains its actors from its prequel which includes Jimmy Sheirgill, Ali Fazal and the original Happy, Diana Penty. The film, directed by Mudassar Aziz, is slated to release on August 24.